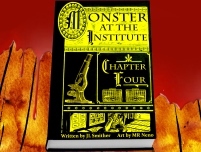 Written by JL Smi﻿ther. Art by MR Neno. 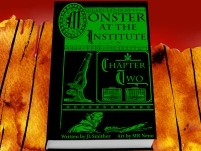 “Monster at the Institute,” the first series of The Outbreak, offers an illustrated glimpse into the personal diary of Dr. Patrick Sullivan, a chemist at The Institute of Co-Existence. 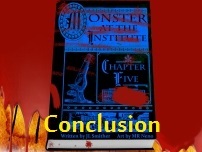 Curious about the secretive work of respected biologist Dr. Fenimore, Dr. Sullivan begins asking questions. What he discovers forever changes the way he looks at the lupanoid outbreak. 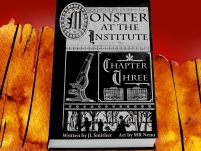 MR Neno’s original inked panels from “Monster at the Institute” are available for purchase! Visit his store before he sells out! Because this story is made up of journal entries, the issues vary in length. The panel counts are below so you know what you’re getting into. 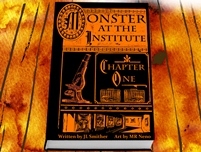 Issue One. Nine panels. Posted April 10, 2014. Issue Two. Fourteen panels. Posted April 17, 2014. Issue Three. Thirty panels. Posted April 24, 2014. Issue Four. Eight panels. Posted May 1, 2014. Issue Five. Thirty-four panels. Posted May 8, 2014. 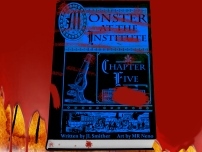 Issue Six. Twenty-nine panels. Posted May 15, 2015.